Is it a pie or is it Cherry Dump Cake? Tada! It’s both. 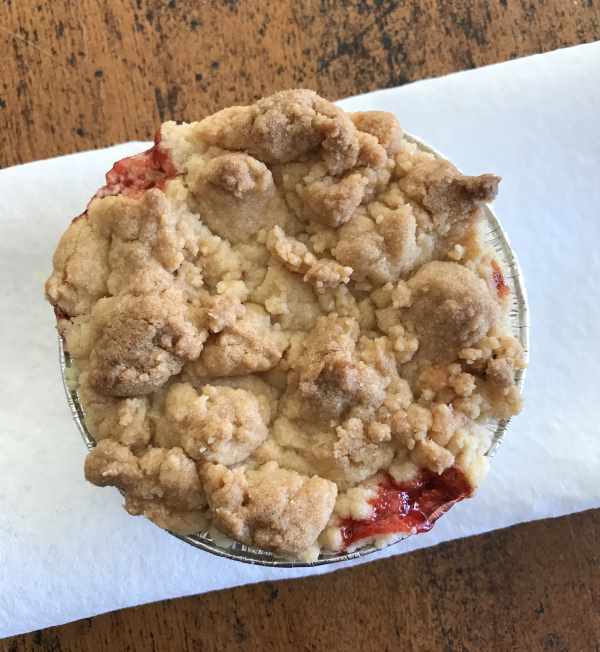 This week I had the idea of adapting a standard (minus the pineapple) cherry dump cake recipe to fit the mini pie shells I bought on Amazon. It works perfectly and instead of cake, you get what I’m calling Easiest Ever Mini Cherry Pies. 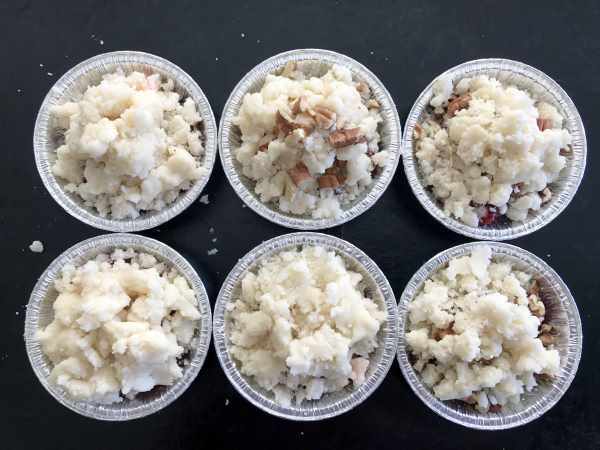 This recipe is incredibly easy, but first you have to get your hands on some the 3 inch pie shells. You can get 50 of them for about $14 on Amazon, or can buy 2 packs of the 6 count mini graham pie shells (Keebler) from the baking aisle, use them for something, then re-use the pie shells. But I recommend treating yourself to a set of 50 because there are so many ways to use them. The ones I bought are these 3 inch (rim to rim they are 3 1/2 inch) shells from Kitchen Dance. Disposable aluminum tart pans or mini pie pans. But back to these mini cherry pies. Here’s the recipe and it’s pretty straightforward. If you only want 6, you can use half a can of cherry pie filling and weigh out half a box of cake mix. 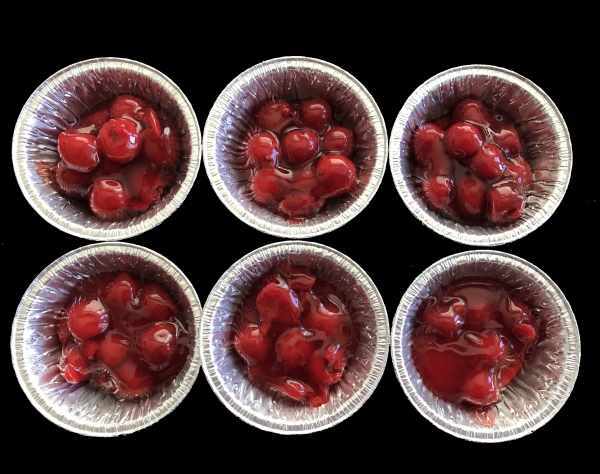 Easiest Ever Mini Cherry Pies are basically dump cake made in a mini pie pans. Preheat oven to 350 degrees F. Have ready a rimmed baking sheet and 12 (3 inch) miniature pie pans. Mix the cherry pie filling and the almond extract, then divide evenly among the pie pans and set them on the baking sheet. In a bowl, combine the cake mix and melted butter and stir until crumbly. Divide crumbly mixture evenly over the cherry mixture, piling it slightly. Bake at 350 for about 35 minutes or until tops are browned. Thanks D! I was super happy with how they turned out. Some of the old dump cake recipes call for pineapple, but I just used cherry pie filling. I’m going to try doing this with Crockpot Pumpkin Cake.